We are a team of superhero developers, and our job is to make Ecommerce safe, accessible and affordable. 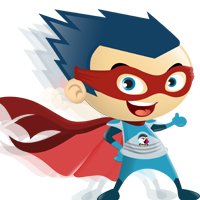 With our superhero powers, we create super prestashop themes and addons. One of our greatest superpower is the power of SUPPORT. We are committed to offering the right level of superpower support to all our members. The second superpower is fast Communication reply. So if you have projects, do not hesitate to send us a message.